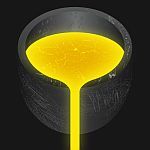 The following provides a listing of software products that in general have applicability across several industries, or support business processes that are generic across organisations. Pocketweb integrates innovative consulting services with secure and globally scalable web and mobile technologies. Speedwell’s expertise in the online and mobile development means that they have the expertise to bring your application to market. Altaine is driving the development of the Mobile Engagement market, offering the only integrated solution suite spanning all mobile commerce/ordering, mobile marketing, mobile loyalty and mobile content functions. BlueSpark specialises in the development of highly interactive Web sites and Web based components. Combined with database and server logic, they can create large or small scale applications that are easily maintained. Cactuslab provides full-service native iOS (iPhone & iPad) application development services for the New Zealand market. They have proven experience in the field, including personal projects and a growing portfolio of commercial work. Carnival Labs focus primarily on development of iOS applications for Apple’s devices, but also offer development services for Android., WP 7 and Blackberry. 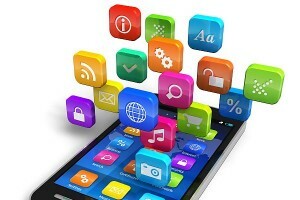 Over 60 apps under their belt, many for heavy weight international brands. Catalyst has extensive experience with mobile content delivery, including mobile ecommerce, SMS applications and more recently bespoke Android applications. Datacom is New Zealand’s largest developer and integrator of business applications, websites and intranets. Jade offer a mobile middleware framework called JOOB Mobile Enterprise Application Platform, integrating business systems to consumer devices across the iOS, Android, WP 7 and mobile web platforms, plus conduit to large app developer community. Judson Steel are an iOS development studio that consults, designs and develops solutions for clients using iPhone, iPad and Android technology. Julius Spencer specialises in application development and support for Android. Less Code provides iPhone development services that help you leverage the fastest growing mobile platform in the world. Majic Jungle Software develops best-of-breed games and applications for the Mac and iPhone platforms. Marker Studio is a full service digital agency based in Auckland who combine smart creative, leading technology and measurable online marketing campaigns to add real value. Recently won best mobile app ONYAS Awards 2011. Moa Creative create apps for virtually every mobile platform and device including iPhone, iPad and Android. MobileNet are a New Zealand company specialising in iPad and iPhone development. Motim Technologies Ltd. is a specialist software company that develops compelling interaction experiences for leading global companies. 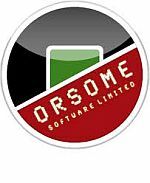 Orsome Software is the Christchurch based iPhone software developer behind many popular New Zealand titles. Smudge Apps was one of the first iPhone developers in New Zealand and, along with their subsidiary brands, have quickly grown to become a significant pre-eminent worldwide player in the App Store industry. The Hyperfactory powers businesses and brands through the mobile medium. With The Hyperfactory you get the best of both worlds: agency & technology. Touchtech is a Wellington-based mobile development company which takes mobile & cloud seriously.